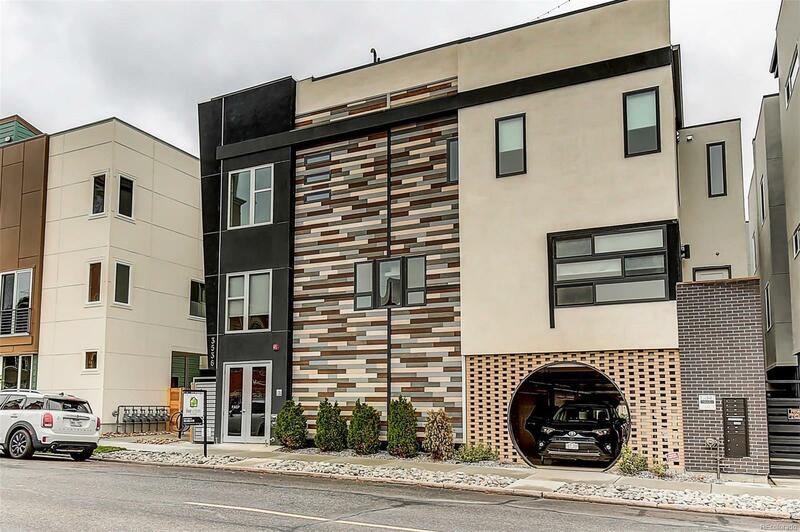 Uber Chic END-UNIT townhouse in Denver's hottest LoHi neighborhood. This street facing end-unit is flooded with natural light from the Navajo St Art District. All of Denver's hippest Restaurants, Bars, and Coffee Shops are at your disposal right out the front door. Not your scene? Then entertain your guests on the expansive rooftop that includes city and mountain views as well as a gas hookup for you BBQ and plenty of space for your hot tub. Inside live like a rockstar with an owner's-suite that includes a wet-room 5-piece bathroom including a sleek bathtub with views of LoHi. The open living great room features Bosch kitchen appliances. Keep things private (or not) with remote controlled window shades in ALL of the main rooms. You have to see the 14-foot high ceilings in the guest suite. This one is not like your neighbor's townhouse. It's a must-see and still shines like new. Stop by for the open houses Saturday, and Sunday. See you there!